It all starts with TRUST – the critical foundation of a cohesive team. Doesn’t a team have to trust one another to do anything? – build a bridge, save a life, fly a plane. 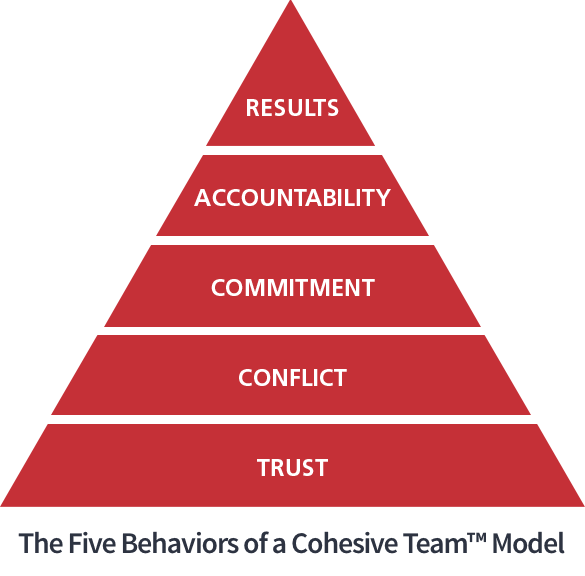 If your goal is a cohesive team, you must start at the foundation by building trust. Team achieves results and has fun in the process! What is the difference between these two teams? Trust is the critical foundation of every cohesive team. 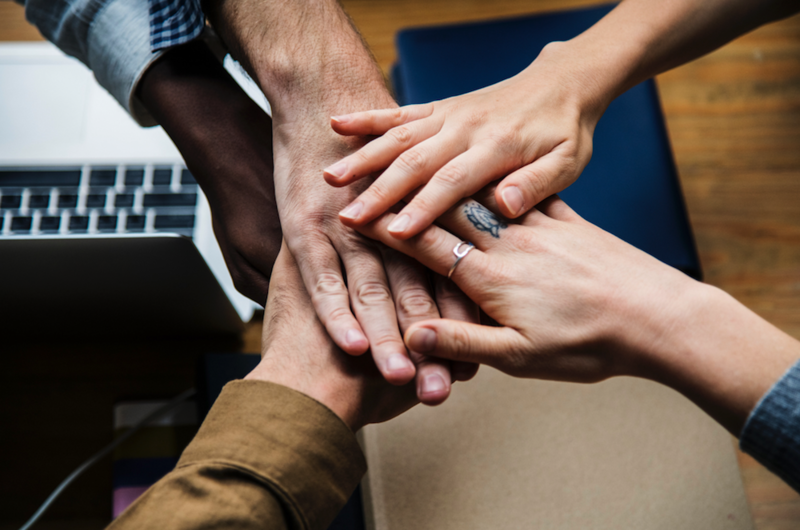 The Five Behaviors of a Cohesive Team” is a program based on Patrick Lencioni’s work and helps teams do the simple, but difficult work of becoming a cohesive team. As you can see, TRUST is the foundation. Without trust, the whole pyramid comes crashing down. So how does a team develop this most important foundation? How do team members show up in the world? What are their preferences in giving information to people and their preference for receiving information? Are they more comfortable with lots of detail and data? -OR- Do they prefer a big picture view with fewer details? When team members understand their different communication styles, they begin to understand why team members behave the way they do. (Maybe this is not personal… maybe it is just who she is…) A new perspective can help team members open up and be vulnerable- and trust begins to build. What if the team knew a little of our personal stories and we knew theirs? What if, with the knowledge of these experiences, we saw our team members in a different light? Had things in common we never realized? Learned fascinating things about their lives we never knew and could now appreciate? Building trust is not an easy task for a team. It can be particularly tough for a team whose members have been together for a long time and struggled to be successful. It can be equally difficult for a newly-formed team whose members haven’t learned about each other and how to work effectively. But it is the place to start if you are committed to building cohesive teams. Stay tuned for more on the other behaviors standing on this critical foundation of TRUST. we would love to partner with you to make it happen!